Another Symbian theme with custom icons. 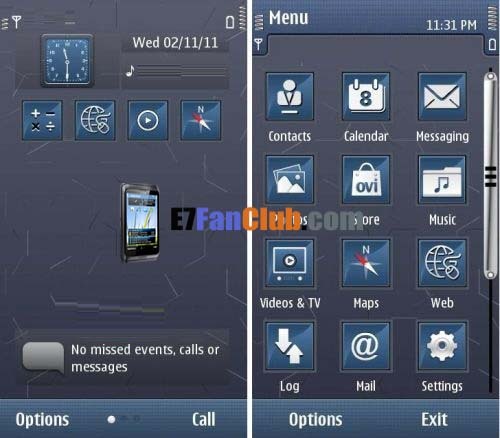 “Grey B” is smooth nice Symbian theme by Boleyn, features cool gray background, new type of custom icons with matching clock and buttons. Theme is available for Symbian Anna / Belle smartphones.